Navy Capt. 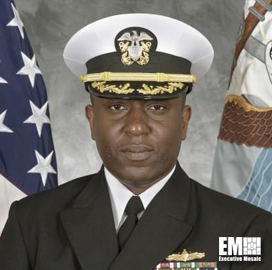 Ben McNeal, program manager for Naval Enterprise Networks, has said the service wants industry to help upgrade the branch’s information technology systems within the budget while pursuing compliance, Federal News Radio reported Tuesday. “One of the biggest things we are looking for is a way to trap the mouse with respect to how we can spend the dollars and get the dollars to go the furthest with respect to the limited dollars we have to spend and balancing between obsolescence and trying to transform in our current architecture,” he said Monday at the AFCEA Navy IT Day in Arlington, Va.
His remarks came weeks after the Navy issued a solicitation for the end-user hardware portion of the Next Generation Enterprise Network Recompete contract. The report said the service expects to release in the next two weeks the request for proposals for NGEN-R’s service management, integration and transport portion. McNeal noted that the Navy plans to address the need for converged capabilities. “We are looking for a holistic approach to understanding how we can serve all the Navy’s, not only telephony needs, but converge voice, video and IP,” he said.